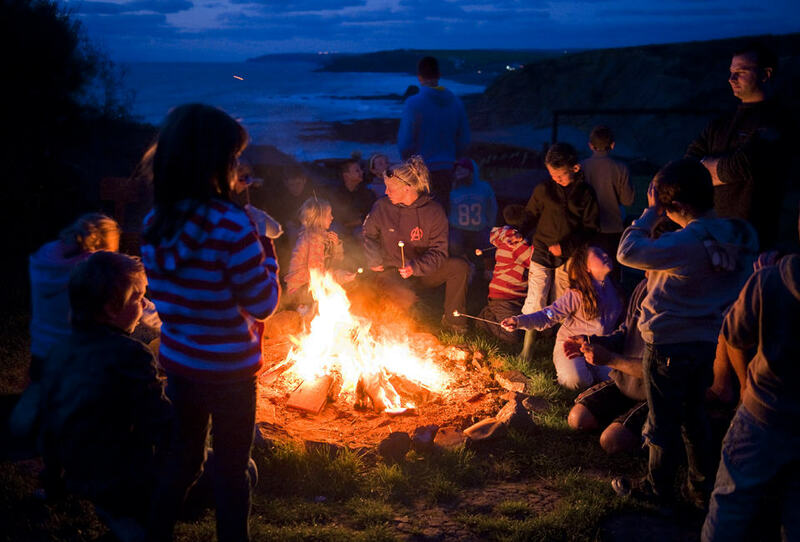 Your pupils will love having the opportunity to experience surfing during their residential on a dramatic Cornish beach! Not just a sport, it even has its own culture. By far the most popular activity on our school trips, surfing is great fun but also a grounding experience for people, as they gain respect for the sheer power of nature. Whether it’s getting the buzz from your first wave ever, the challenge of learning to bottom turn on a green wave or the sheer adrenaline of down the line surfing over an unforgiving Cornish reef – it’s a must. 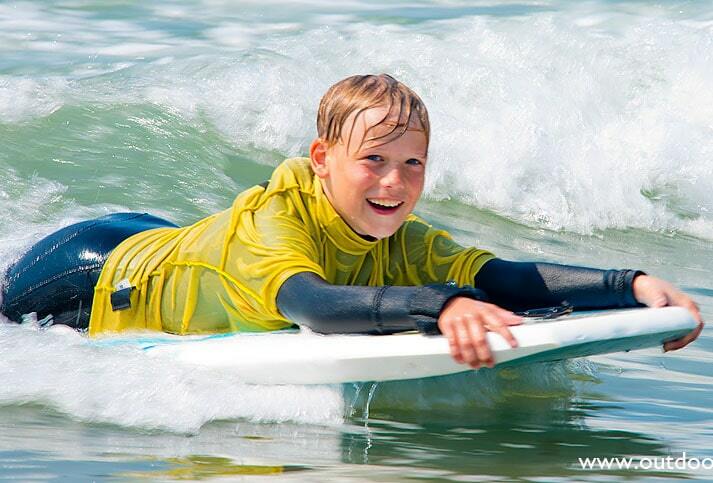 Your surfing moments from your activity week will stay with you forever! 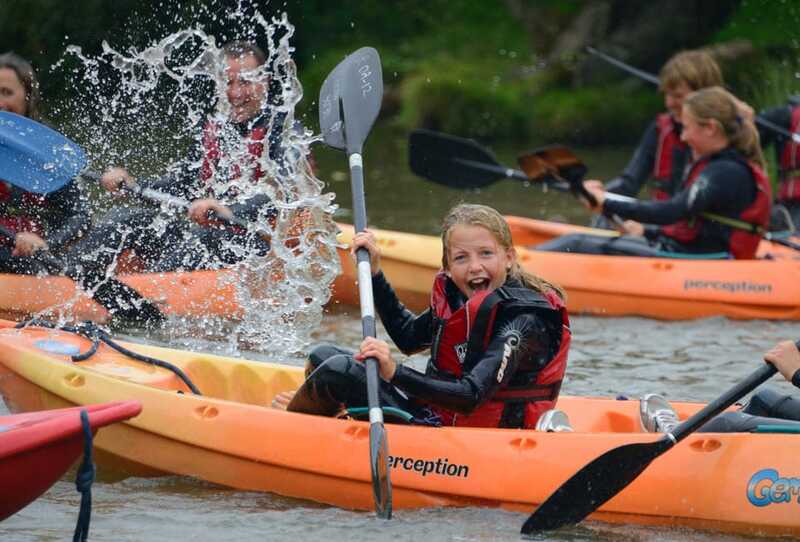 Another thrilling way to surf the waves whilst on your school activity holiday at Outdoor Adventure! A great alternative to surfing. It is also perfect for smaller children who may find it hard to handle a full sized surfboard. It is great fun and easy to get the hang of quickly. There are lots of levels of bodyboarding from the thrill of catching the broken waves close to the beach through to the radical bodyboarding manoeuvres of 360’s, aerial re-entries and tube rides. 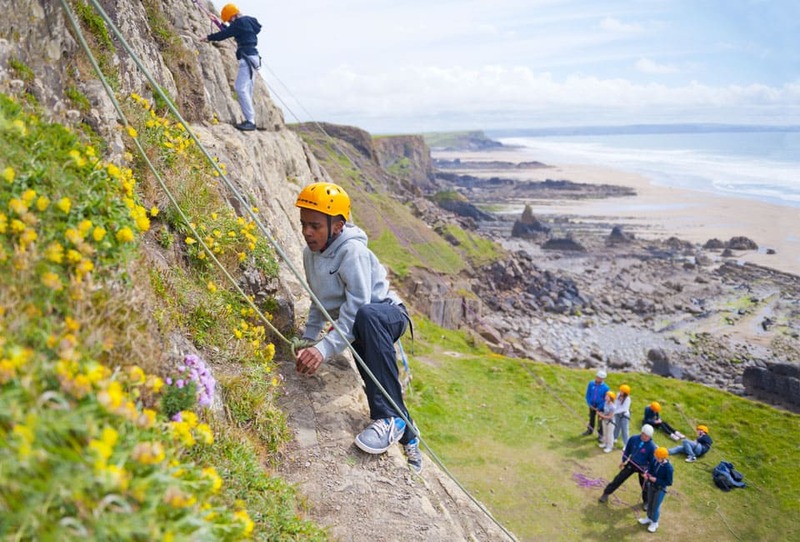 The sea-cliff climbing in Cornwall is fantastic for schools! People climb everywhere – on the coast, on the tors of moorland regions, high up on exposed faces of mountains and indoors on purpose built climbing walls. We climb on sea cliffs which is a dramatic and inspiring climbing environment. You will experience real exhilaration and the satisfaction of conquering a rock face with the sea crashing beneath you. Climbing is now a very popular activity to try on a school residential. Many people living in cities use their local climbing wall to practise, so they are ready for their next route out on the real rock face. It is another excellent sport for personal development and confidence building. Where appropriate pupils are given the opportunity to belay other group members backed up by one of our coaches – a powerful exercise in trust. 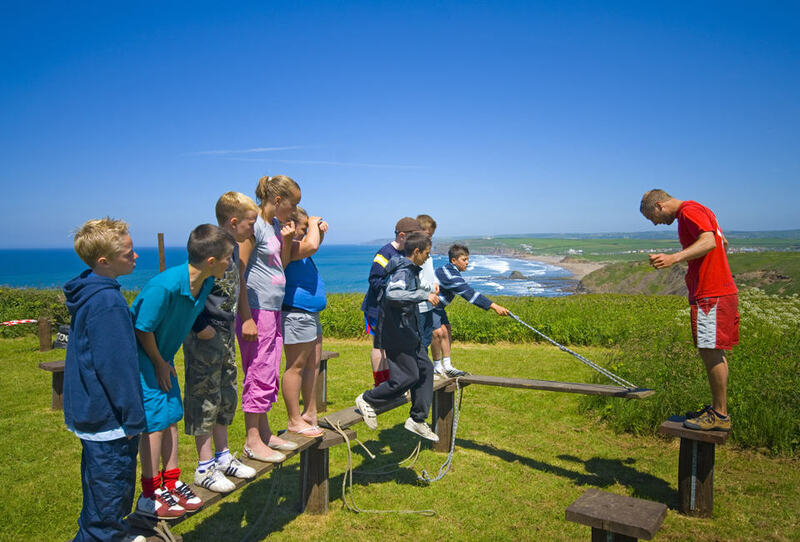 Abseiling takes your breath away – a must on your school trip! People abseil down everything from city buildings to industrial towers, but you can’t beat the thrill of abseiling down a Cornish cliff face with the sea crashing beneath you. As you descend you can marvel at the spectacular views all around. Many people are apprehensive about this activity, but with a good coach and the support from the rest of your group you’ll do it! The feeling of accomplishment when you’re at the bottom is overwhelming. This is an excellent way of building personal confidence and trust in others on your adventure residential. Fun for all the group together! 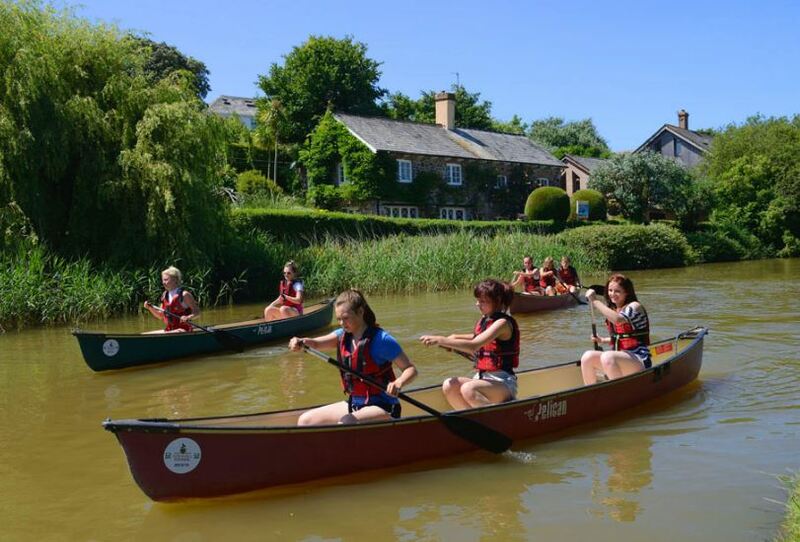 At Outdoor Adventure we canoe on the Bude Canal, which is a beautiful historic canal used once as a route for hauling sand inland to the Bude railway. Your journey starts near the sea and meanders inland through marshes and nature reserves where herons and kingfishers often watch from the bank. A great stretch of flat water with lots to see. Kayaking is an incredibly versatile sport. It has everything from tranquil paddling up calm rivers to pure adrenaline rushes from white water rapids, battling against the surf or undertaking a solo ocean crossing. It’s great for games and team challenges. When you start, the first thing to master is going in a straight line, but as soon as you have cracked this, there’s loads more skills and strokes to learn – how to turn your boat quickly, recovery strokes and Eskimo rolls. Sit on top kayaking has become very popular for schools to try whilst on their residential and is a rapidly growing sport. You can use solo boats or doubles and they have a multitude of uses from sea kayaking and fishing to surfing. Their popularity is primarily down to the fact that you aren’t required to roll if you capsize, as the boat can be righted without it filling with water and needing emptying. 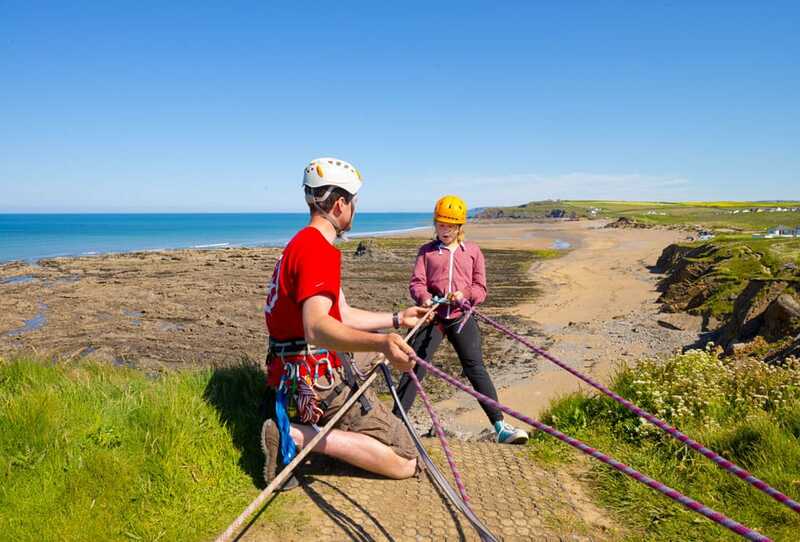 This is an unusual activity to try whilst on your school residential, where you make your way along the base of the sea cliffs, over or under whatever comes your way. You’ll be picking your way through boulder fields, jumping across rock pools, traversing across barnacle covered ledges into secret bays where you will see no other human visitors. You wear normal clothes, trainers and a helmet for safety. This is predominately a dry sport, but your skills will determine whether you stay that way! Your coach will pick as challenging a route as you want to take on. This is another excellent team building activity for your pupils during their school trip. 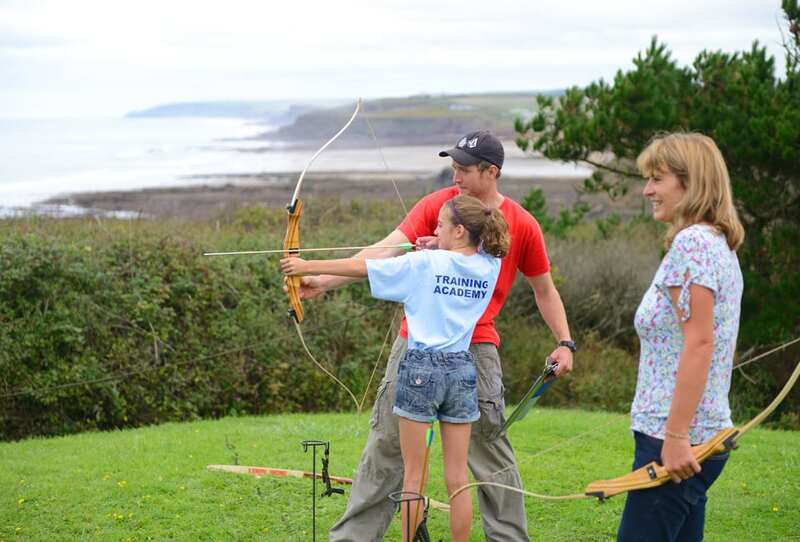 Archery is proving to be a truly rewarding and fun sport for schools at Outdoor Adventure – firing your arrows towards the backdrop of the Atlantic Ocean is very unique! Back in 1346 archery was used in hunting and combat and a feared longbow man could consistently hit a person at 160 metres! Today it’s respected as a testing precision sport. Outdoor Adventure brought archery into its range of activities for schools to try during their activity week, due to its attraction and popularity as a sport with a less physical emphasis, while still giving that feeling of personal challenge and mastery. We have developed an archery session which is engaging, fun and highly addictive! It is a fantastic sport to develop dexterity, precision and self control – no one can hide the smile when you hit the gold! A fun and diverse sport for everyone! Potter – walk – run – compete. A brilliant way to fine tune your navigation skills whilst on your school adventure week. We have designed an excellent orienteering course for schools that runs throughout the extensive grounds of our Centre. It is set up in a way to be used by a wide range of abilities, from basic map reading skills to the more advanced skills of pacing and walking on bearings. This is a fun and challenging activity for pupils. 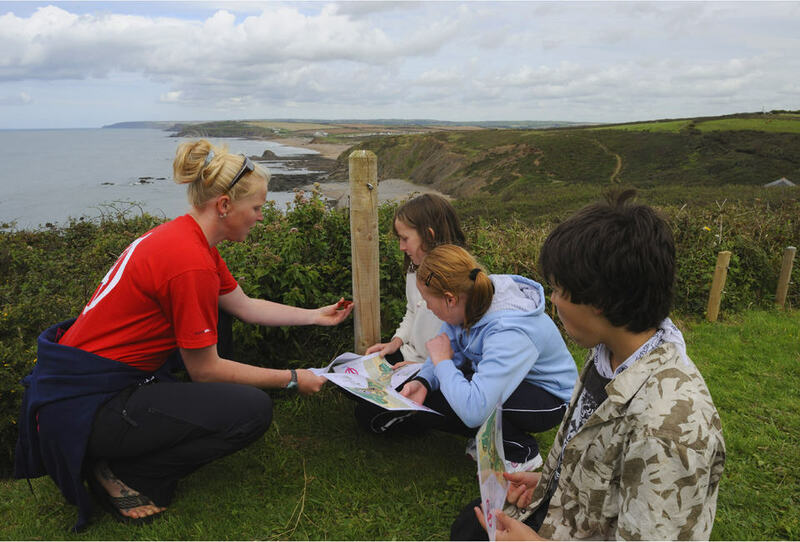 Our orienteering course is set within the 10 acres of the Activity Centre grounds and beach. It contains a maze of paths and at every point you mark your card, you will be taking in the spectacular views up and down this rugged stretch of Cornish coastline. A fun, powerful way for children to develop the skills to succeed in life. This is an area in which Outdoor Adventure has a wealth of knowledge and experience. Our staff understand how to spot and use the moments that arise in these sessions to help your pupils develop their people and leadership skills. We look at what makes someone a good communicator and put active listening to the test! They become aware that everyone’s opinion and input matters. Pupils are encouraged to look for and value the strengths in others and respect each others differences. We look at the different leadership styles and discuss the vital ingredients that make up a true team and how to be positive and enthusiastic about solving problems. This type of activity is particularly effective in addressing many Key Stage 2-4 curriculum requirements whilst on your school residential such as key skills, PSHE work and citizenship. Enjoy stunning scenery whilst on your school activity holiday! 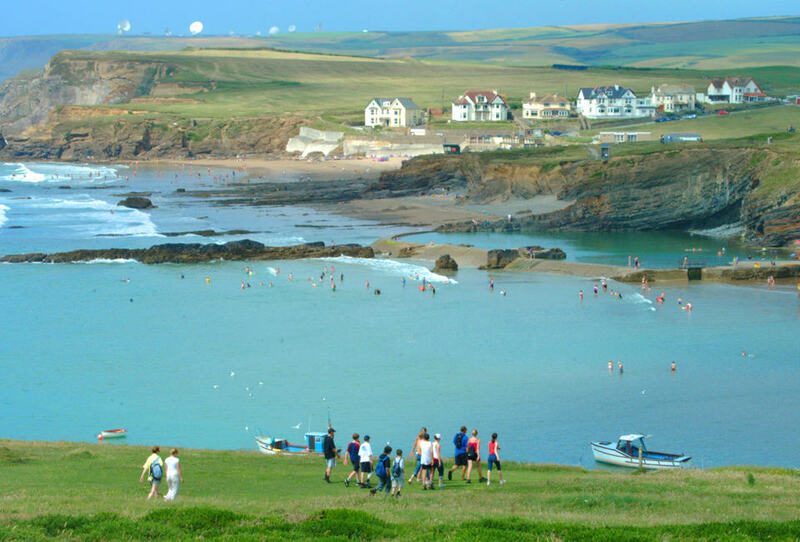 Outdoor Adventure is right on the North Cornwall coast path and is spoilt for choice for fabulous walks. These can be anything from an easy stroll, to walking on challenging terrain crossing breathtaking valleys with steep climbs. The section of coast path South of our Activity Centre is one of the most awe-inspiring stretches of the North Cornwall coast path. It is totally remote and you feel as though you are in another part of the world and in a true wilderness environment. There’s lots of opportunity to descend down into the rugged coves beneath and explore. We walk it one way and get collected in minibuses the other end – you’ll deserve the lift home! Other sections going North are flatter and easier walking, however they still have spectacular views. Below you will often see dolphins and basking sharks or if you’re really lucky see a Peregrine falcon. To conclude an action packed day, we provide a fun and engaging evening programme ensuring you can make the most of your time with us on your school trip. 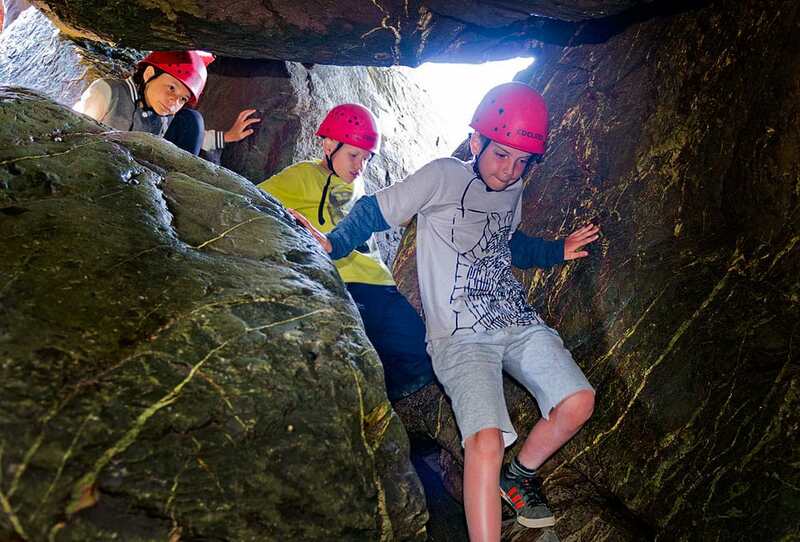 Coastal walk, leadership and communication exercises, orienteering, team challenges, beach games, problem solving exercises, cliff top fire, disco, presentation night, barbecue, traverse wall and night line.